In August there was quite some media attention to the problems Boeing (BA) was facing on the single aisle program as it has tried to simultaneously ramp up production to record highs and gradually transition from production of the Boeing 737 Next Generation to the Boeing 737 MAX. Early in August, I had a first look at the problem and my intention was to follow up by the end of the month to see how things had developed. Things went slightly different than planned; a report was published on Seeking Alpha with the claim that Boeing would be forced to cut single aisle production in 2019 as there was not enough turbofan capacity to support increased production. We found that some assumptions made the outcome questionable and we countered with an in-depth report. That took quite some resources away and we decided to postpone the August update on the current problems a little bit. One thing that we’d like to point out is that with Seeking Alpha being a crowd-sourced investment research platform, we can highly appreciate that there is room for opposing analyses and readers are given the opportunity to read both and discuss both freely. In this report, we want to have a look at the current situation. The situation changes day by day, but we think it is good to analyze it, point out what Boeing’s options are, zoom in a tiny bit on complexity and then zoom out from the shortage of turbofans and focus on the complete picture because we think some elements are not weighed properly by critics. The Boeing 737 MAX is successor to the Boeing 737 Next Generation. Views may differ, but we consider the Boeing 737 Next Generation to be Boeing’s response to the Airbus A320ceo (current engine option). Airbus (OTCPK:EADSF) (OTCPK:EADSY), possibly partly driven by fears over a development from Bombardier (OTCQX:BDRAF) that could grow into the single aisle duopoly, increased pressure on Boeing even more with the launch of the Airbus A320neo which simply said is built on the sales success of the Airbus A320ceo featuring winglets and more efficient turbofans. Boeing had evaluated possibilities to build a Boeing 787-based new single aisle aircraft, but quickly found that the systems could not be sized down efficiently to be used on a single aisle aircraft. So the jet maker ended up launching the Boeing 737 MAX instead. The MAX, just like the neo, makes use of slight aerodynamic improvements and big improvements in propulsive efficiency. The Boeing 737 MAX makes use of an advanced winglet design. It’s natural behavior that liquids and gasses want to flow from high pressure areas to low pressure areas to form an equilibrium state. The lifting capability of an aircraft is basically generated by a pressure gradient between the upper and lower path of the wing, which pushes the wing and aircraft up. Where the low and high pressure come together a vortex is generated. Since these vortices, like with many things in nature, search the path of least resistance they come together at the wing tips where a bigger wingtip vortex is generated. That vortex generates a down wash on the wing and generates drag, which locally spoils the lift and aerodynamic efficiency. A solution to that problem is the application of wingtip fences, though less effective, or winglets. The winglets create a lift component pointed towards the lift and a small forward force that reduces the drag and there is the potential that for a good design the vortices are smaller resulting in less energy losses. On the Boeing 737 MAX, Boeing went a step further and added a lower part to the winglet that has an outward pointing lift component and a drag countering component. Additionally, laminar flow technology was implemented giving another boost to drag reduction. 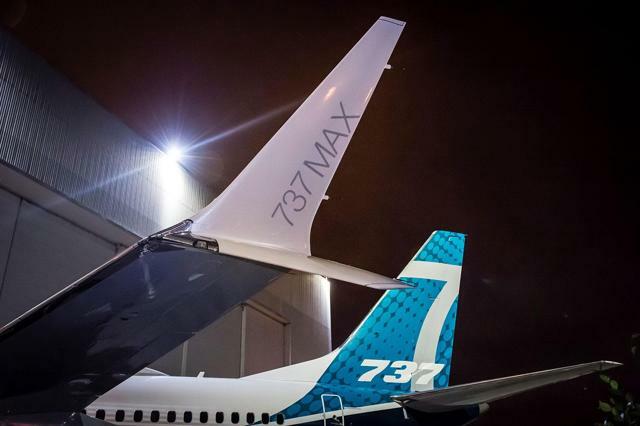 While the advanced winglets are likely what is going to catch the attention of most passengers when looking at the Boeing 737 MAX, together with the cleaned tail cone these elements reduce the fuel consumption just by 2 to 2.5 percent. The remainder of the 15% percent target reduction comes from the CFM LEAP 1B turbofans. So one important thing to be aware of is that the CFM LEAP turbofans are key to achieving the desired fuel burn performance. One of the easiest ways to improve the specific fuel consumption is by increasing the bypass ratio. The bypass ratio is the ratio between the air bypassing the core and the mass flowing through the core. In essence, this means that by increasing the fan diameter, the thrust specific fuel consumption can be improved. One clear limitation is the required clearance between turbofan and ground. So unless the landing gear is lengthened to increase the clearance, simply increasing the fan diameter to improve fuel efficiency is not always a suiting solution given that lengthening the landing gear requires a thorough redesign, adds weight, development and certification costs. For the Boeing 737 MAX turbofans, the BPR increased from 5.1 to 9. The other solution is to optimize the core or in other words ‘increase the overall pressure ratio.’ Pratt & Whitney chose to put a gearbox between low pressure spool and the fan. By putting a gearbox between the fan and the other components on the axis, the fan can rotate at a slower speed, meaning that all components can spin closer to their optimum speeds. This, however, is a complex solution. So CFM International chose to increase the efficiency by a combination of improving the shapes of the components and design the components to be able to spin at optimum speeds to improve the pressure ratio. One way to improve the shape of certain components to improve their efficiency is by 3D printing parts. The low pressure rotor on the CFM LEAP 1B rotates slightly slower than its CFM56-7B counterpart, but the high pressure components can spin over 30% faster. These components have to be designed to withstand these increased rotational speeds. When increasing the overall pressure ratio, the temperature increases even more during the compression stages. Achieving the increased pressure ratio is one thing, but making them withstand the higher temperatures is another. To handle the increased temperatures while simultaneously improving thrust, advanced materials were used. One of those advanced applications is the use of carbon matrix ceramics. CMCs come with a weight benefit, but more importantly allow for higher temperatures which subsequently allow for higher pressure ratios and that eventually helps CFM in increasing the thrust of the turbofan and making the turbofan more efficient. Mass producing ceramic matrix composites has been amongst the biggest hurdles to overcome. 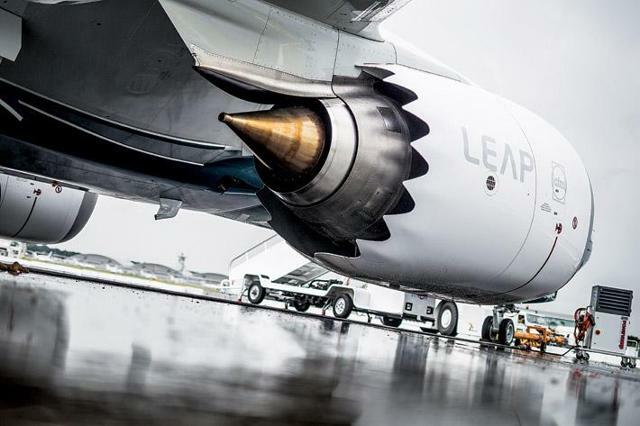 Shortly before the service entry of the CFM LEAP 1B with Boeing, CFM was notified on a quality escape at a facility of one of the suppliers for the low pressure turbine which postponed the first deliveries by a few days. A few months later while in service, it was found that a coating inside the CFM LEAP turbofans degraded faster than expected and CFM had to design and apply a fix for that. This likely is one of the reasons why there have been delays in deliveries. In no way do we want to make the issues that arise to appear smaller than they are, but what airlines and jet makers have asked for in terms of propulsive efficiency improvements is not impossible but does ask for some very innovative solutions. We are looking at increased pressure ratios inside the turbofan, higher temperatures, the implementation of advanced lighter and more shock resistant materials, advanced coatings and additive manufacturing while simultaneously bringing down part count. We are looking at highly advanced implementations and it is often ignored that turbofans feature some of the most advanced implementations of state-of-the-art technology in some of the most daring environments and all of this has to come at an affordable price for customers. At current production rates, the smallest teething issues can pose significant challenges to maintain timely delivery to the jet makers. While it might seem that the problems in the supply chain are new, they are not. Even before a cumulation occurred, we could already see the first signs of stress on the supply chain. In 2017, before the Boeing 737 MAX entered service we could already see some aircraft rolling out without the turbofan installed which usually points at a late arrival of the turbofan. So we are seeing quite a few aircraft missing their turbofans at this moment piling up at the Renton facility, but this certainly is not something new. In February this year, Spirit AeroSystems (SPR) deployed SWAT teams to address bottlenecks in its supply chain. In April, it became clear that Spirit AeroSystems, for the first time in 4 years, sent a shipment of Boeing 737 fuselages late to Boeing’s facility and by May Boeing’s Tier 1 supplier had deployed SWAT teams to a dozen suppliers to address bottlenecks in the supply chain. In August, most of the delays had been eliminated though some fuselages were still late. Earlier this month, we pointed out that Boeing’s first quarter earnings might disappoint as delivery volumes were weak in the first 2 months of the year. If no uptick in deliveries would take place in March, the jet maker would most certainly fail to meet expectations. Boeing eliminated this downside risk as it showed strong delivery figures in March, which should pave the way towards good first quarter earnings. Boeing’s commercial aircraft deliveries remain a key focus point due to the existing importance of the business to Boeing’s overall business as well as the growth in the coming years. While the commercial aircraft market is growing, there sometimes are program specific challenges which make it harder for Boeing to increase revenues. The Boeing 777 program is a clear example of that and we believe it takes 3 aircraft programs to offset the loss in revenues from the Boeing 777 program. This shows 4 important things to us. The first thing being the scalability of Boeing’s single-aisle business, though this is not infinitely scalable. The second thing is the health of the freighter product line up and market with the 3rd and 4th element being the importance of the Boeing 777 program in the past and the current and future importance of the Boeing 787. Simultaneously, the pressure on the Boeing 787 is increasing as it’s one of Boeing’s main cash and revenue drivers and we are currently seeing some pressure on deliveries. Delivery volume during April was a bit disappointing. The key programs for Boeing, namely the Boeing 737, Boeing 787 and Boeing 777 all showed deliveries below the production rate. The explanation for this is simple: Boeing pushed out a lot of aircraft for delivery in March to bolster its Q1 results and we are now seeing how that impacts the delivery numbers in the subsequent quarter. The lower deliveries could be somewhat indicative of strain on production. We expect that just like last quarter, Boeing will aim to pull the same trick again, having deliveries peak once every three months. So the problems already showed earlier this year. At that time the chain was likely working on transitioning towards supporting a rate of 52 aircraft per month. While widely the turbofans and the late fuselage shipments are being blamed for Boeing’s sudden cumulation of aircraft, there are other key components arriving late at the facility in Renton as well. 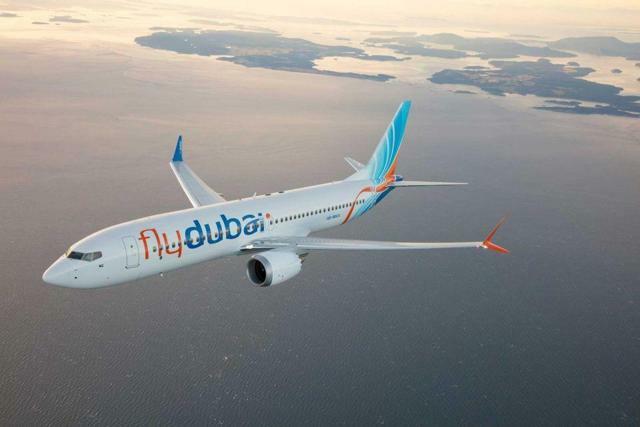 Some aircraft rolled out without an auxiliary power unit [APU] installed, which also is a strong pointer that the supplier of the APUs is having problems coping with demand. Andrew McIntosh reported that another supplier is having problems with supplying enough passenger service units caused by production issues of one of its suppliers. So we see a few things; the strain on the supply chain has been visible at the start of the year already and it never went away. Boeing just was able to recover shipment volume at the end of quarter, so it didn’t impact the company’s financials. That’s not the case now. We also observed that the issues are not limited to Tier 1 suppliers but go quite a bit deeper in the chain and some of those issues have been surfacing recently. So the pile-up is a result of combination of a lot of things including late deliveries of CFM LEAP turbofans due to fixes that had to be designed and applied, inconsistent fuselage deliveries, and late arrivals of essential components such as APU and PSU deliveries. That poses quite a significant problem for Boeing to timely deliver all single aisle jets. While the issues are serious, Boeing spokesman Doug Alder said in early August that impact from late fuselage shipments and late turbofan deliveries was at its peak. At the time, shortage of parts from other suppliers was not that clear and from what we can see now the situation exacerbated. CFO Greg Smith said that Q3 deliveries would drop, but would recover in Q4. To us the big question is whether Boeing can ramp up production efficiently. Somewhere in the coming months, probably at the earliest in October and at the latest in December, Boeing has to transition one of its assembly lines from NG to MAX production. That would mean that ideally production of the MAX should simultaneously go up. Current rates already seem to be difficult to support, so the big concern we have is that as NG production comes down MAX ramp-up this year might not go as planned. So far, Boeing has answered media questions but we feel the company has not yet properly addressed the issue for investors. 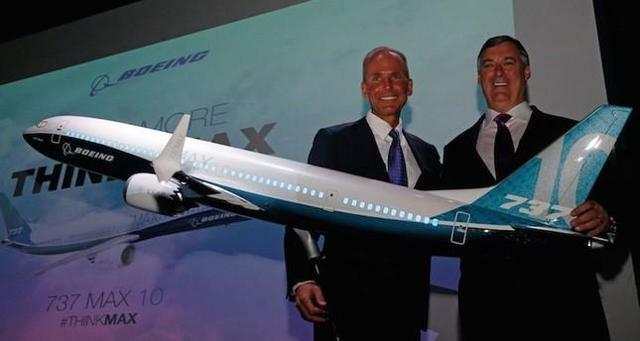 We hope to see that during the Morgan Stanley Laguna Conference, Boeing CEO Dennis Muilenburg will provide more insights on where Boeing is with recovering the delivery stream and also how its ramp-up is coming along. The big question of course is how much worse did things get since the cumulation was first widely covered in the media. Back then over 40 jets were reported to be parked outside the Renton facility. The most recent figures we saw mention 38 Boeing 737 MAX aircraft, 40% of which don’t have an engine and there are 17 Next Generation aircraft parked as well. AeroAnalysis estimated the value of those parked aircraft to be around $2.75B including one P-8 Poseidon. Now one thing to be taken into account is that it is far from uncommon that there are aircraft parked outside the facility in Renton. In normal conditions you will mostly probably see 10 to 15 aircraft being parked outside at the Renton facility as they await flight testing. That means that the cumulation would be more or less in line with the number of Boeing 737 MAX aircraft that are parked, though we believe it is a mix of both the NG and the Boeing 737 MAX. That means that in the best-case scenario the cumulation can be valued at $1.95B and in the worst-case scenario it would be $2.05B. The numbers are still significant and we think estimates on Boeing’s Q3 results could be lowered. Another important question is whether history is repeating itself. Twenty years ago, Boeing reported its first loss in 40 years following a combination of production issues on the Boeing 737 and Boeing 747 program as well as acquisitions and some portfolio-driven decisions. The commercial airplanes segment recognized a $700 million charge in October 1997 and a $2.6B charge in November 1997, driven by labor and parts shortages that forced the Boeing 737 and Boeing 747 lines to be closed for 3 weeks. Important to note is that 1997 is the year of the introduction of the Boeing 737NG, the aircraft that is being gradually phased out from the production system now. 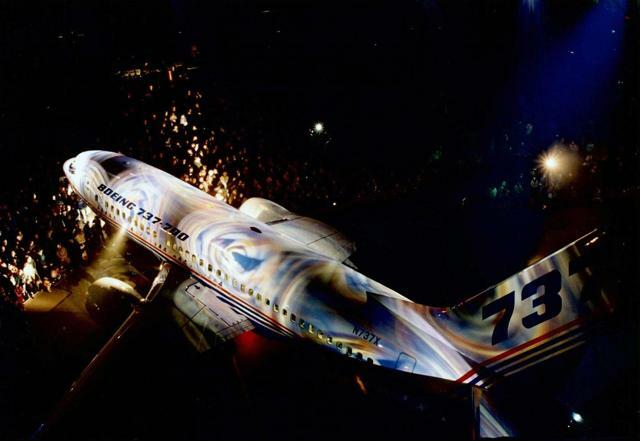 At the time, the Boeing 737 program manager was sent home. Fast-forward to 2018 and we see that in August amidst the Boeing 737 pile-up at the Renton facility, Boeing announced that the program manager of the Boeing 737, Scott Campbell, would retire at year-end. We think that since Scott Campbell has been with Boeing for over 3 decades the company has given him the most honorable exit under current circumstances. There are some parallels between 1997 and 2018, namely the difficult transition production of one family generation to the other, part shortages, labor shortages (part of the current pile-up is labor related) and the exit of the program manager. At this stage, however, we deem it unlikely that we will see a cost growth to the same extent as happened in 1997. In 1997, the lines stopped for 3 weeks and it has cost the company. We don’t expect that to happen this time but we also think that at this point, except for retesting the supply chain there is not a lot Boeing can do. The ramp-down in productions has been decided on quite some time ago and the entire supply chain is producing with the transition in mind, the fact that the MAX supply is not smooth does not mean that the NG supply capacity can be recovered. So for the jets that are parked now, Boeing can only put more people on reworking and finishing those jets with additional staff and send out specialized team to address the bottlenecks together with Tier 1 suppliers. Reverting back or even stopping a line for a longer time is going to mess up the schedules and cost even more than failing in the ramp-up and having aircraft piling up at the facility, so that doesn’t seem to be an option. From the contracts we saw with airlines, the terms change quite a bit from one contract to the other and in some cases Boeing is obligated to compensate for late deliveries and in some cases it is not. In some cases, we found that Boeing stated that there are excusable delays and those seem to include late arrivals of parts from the supplier. If Boeing has to compensate customers, it is likely that CFM International or any other manufacturer coping with supply chain issues will have to pay this compensation. Risk mitigation should have happened upfront with a thorough stress test of the entire supply chain and quality system and assurance. As soon as Boeing increased the production rate on the Boeing 737 program, it became difficult for the supply chain to keep up which might be pointing at the supply chain being stress-tested insufficiently. The only thing that suppliers and Boeing can do is send in specialized teams to assess the bottlenecks in the supply chain and do additional hiring. One of the problems seems to be that all the way down the chain there are some small suppliers that have difficulties finding staff and some of those companies are also too small to provide the required investment to implement automation. The main conclusion is that while there is a focus on engine shortage, we think it has been shown that the problem has been more widespread and did not occur from one day to the other. Suppliers simply are having an incredibly hard time keeping up and we have seen that stress on the supply chain from the start of the year. Properly addressing this is difficult, because it seems that the strain flows from the lowest levels of the supply chain all the way to the top. There have been concerns about Boeing being able to keep its production high in 2019, I think what currently is more of a concern is the delivery target for this year. 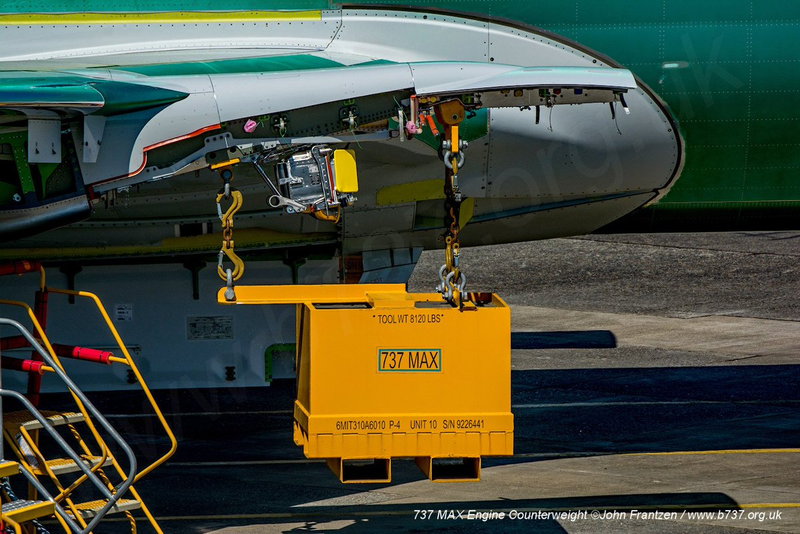 Boeing signaled that deliveries would be backloaded, but we do have doubts whether Boeing can ramp up its production of the Boeing 737 MAX. Keeping Boeing 737 Next Generation rates high is not an option since the ramp-down has already been feathered into the production plan and the supply chain and cannot be changed on short notice. Maybe this is the time to think about how complex the products that the jet makers make are and how extremely complex the turbofans are. We are looking at production rates at record highs while system complexity has risen quite a bit. That asks for hiring and training of skilled and talented staff and automation to some extent. In 2019, Boeing should deliver roughly 2 aircraft each day or 1 every 14 hours. From here it is only going to get more difficult to support demand. Do the current problems make Boeing a sell? We don’t think so. The current status on the Boeing 737 is far from optimal but we think that just like Airbus, Boeing and its suppliers are working on executing a recovery plan. So for some short-term investors this might be time to sell, but for a long-term investor, any weakness in Boeing’s share prices can be used to add to positions. If you enjoyed reading this article, don’t forget to hit the “Follow” button at the top of this page (below the article title) to receive updates for my upcoming articles. Sharing this report with your professional network is appreciated. To get the best reading experience, I recommend to read my reports on a desktop. Disclosure: I am/we are long BA, EADSF.